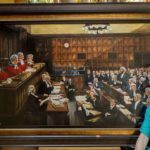 Just before you all begin to wonder if I’ve disappeared after my trip to the U.S- hereâ€™s a quick update on what I’ve been up to. The year started off with a huge event- that being attending & exhibiting at the Dallas Safari Club Convention in Dallas Texas (more than 1850 exhibitors!). I met some amazing people, many prospective clients & did some great marketing & networking. After the show my artwork was sent to a gallery â€œAfrican Oasisâ€ in Dillon Montana & Iâ€™m excited to report that 5 paintings have sold there in the last 10 weeks! Back home I immediately started working- I had two very different commissions lined up & I had to give them all my attention & energy. 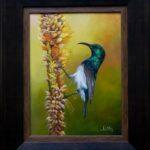 After that I indulged in two bird paintings- a portrait of a Ground Hornbill & then a White Breasted Sunbird. Iâ€™m very happy with both of these! 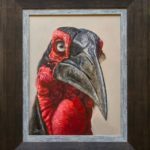 My husband Abraham ( an enthusiastic amateur wildlife & bird photographer) took both of the reference photos I did these paintings from & that makes it even more special. 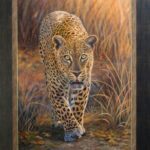 And just before all you wildlife enthusiast are ready to give up on me- I finished my first leopard painting for the year last week & just got it back from the framers today! I got the reference photo from Wildlife photographer Marc de Chalain. This leopard is the notorious â€œVin Dieselâ€ (Mvabala) from the Kruger National Park (Kruger Gate area & is also sometimes seen at Sabi Sands) Heâ€™s a huge leopard of around 90kg/198 pounds & is approximately 13 years old. He carries himself with that â€˜swagâ€™ dominant males are known for & his piercing eyes look right through you. I hope you like the painting! Iâ€™ll be painting â€˜in turboâ€™ for the whole of April as we have our own huge hunting & wildlife show in Midrand Johannesburg the end of this month. There is still a painting of wild dogs & a lion in the making & some stunning Black & whitesâ€¦. 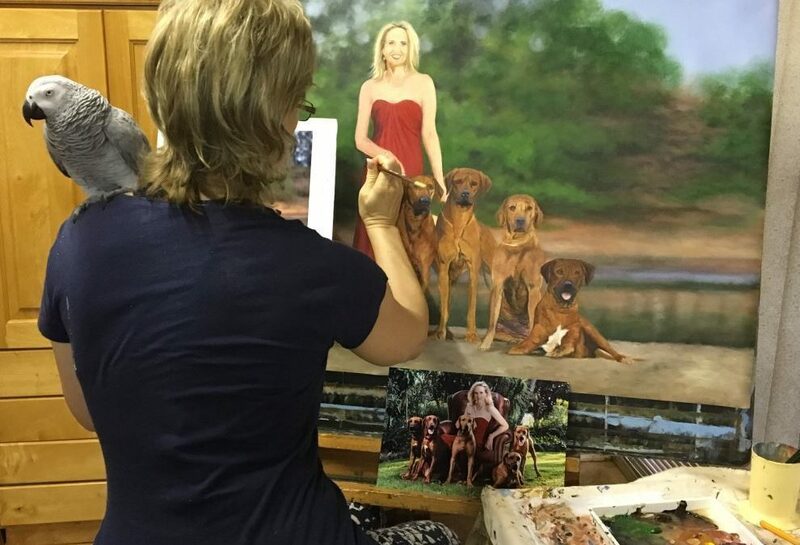 There is also a â€˜commission in progressâ€™ for Lente Roode, founder of the Hoedspruit Wildlife Endangered Species Centre (HESC) Iâ€™m very excited about that prospect & will make work of that in May/June. I am slowly but steadily â€˜contemplatingâ€™ my collection for the Dallas Safari Club Convention January 2018 & hope to bring you more beautiful artwork. Those of you situated in the U.S & interested in commissioning a painting for delivery in January 2018, please contact me so we can discuss what you have in mind. Love your paintings. Ursula posted the leopard painting of her leopard shot! Stunning! I am from Canada but have gone to photograph in Africa for the last ten years! Doing a photo workshop with Hannes Lochner this November so will likely get a favourite to have done. 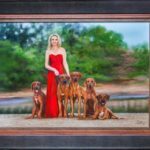 Please provide details on how to send, time frame of a painting to be done and the cost.